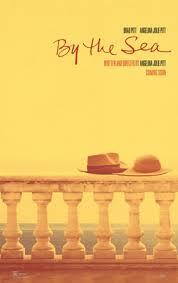 Brief Synopsis – A married couple travelling in France during the 1970’s, come across a seaside town and decide to stay for a while. My Take on it – I can’t recall the last movie that bored me as much as this one did. With Angela Jolie and Brad Pitt attached to star and Jolie also directing, I would’ve expected something much more entertaining. I have a policy that once I start to watch a movie, I can’t cease watching it for any reason (I can pause just not bail out along the way). This movie made me test that theory because I wanted so badly to stop watching because it was so excruciatingly boring which made it painful to continue, but I persevered and made it to the bitterly boring end. We are left having to try and guess so much of the background of these very bland and uninteresting characters in order to try and understand who they really are and how they reached this place in their lives. Really expected much more here than we get…very disappointing. Bottom Line – Such a boring film that I even contemplated turning it off not once but multiple times. So much is left for the viewer to guess since there is too much unexplained that would give us more information about the bland characters and how they reached this point in their lives. I would’ve expected something much better from Jolie and Pitt. Well, you convinced me to leave this alone. I’m usually in the camp of trailers showing too much, but c’mon, you got to give the audience at least a small idea of what your film us about! Not all. Total bomb. Tnx MMJ! I’ve heard this is really boring from others as well. Obviously they thought they were smarter than they are, a bit ‘arty’ or something. Hmmmm! I’ve seen your email btw!! Will reply shortly 🙂 Happy New Year Rob!